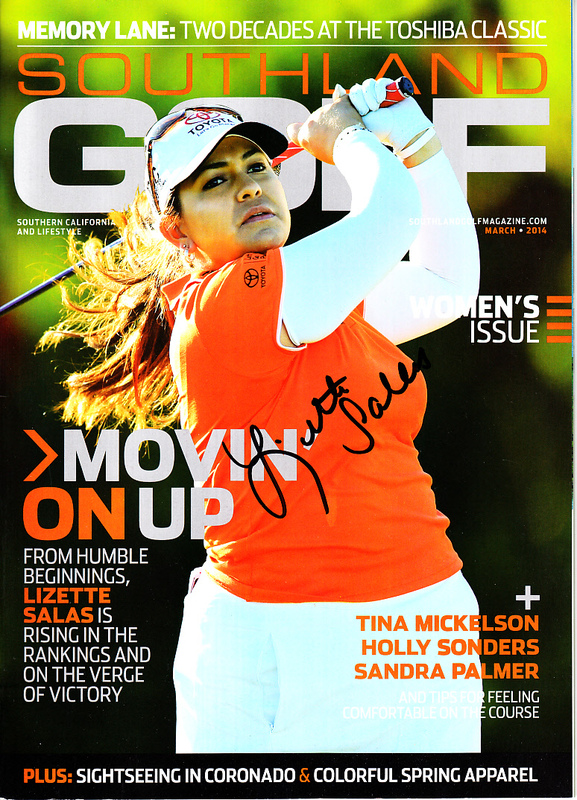 2014 Southland Golf magazine autographed on the cover in black marker by LPGA star Lizette Salas. Obtained in person. With certificate of authenticity from AutographsForSale.com.